CHICAGO – The organiser of DOMOTEX USA, the inaugural edition of the flooring innovations trade show and conference, has opened its registration desk for retail buyers and industry professionals while posting its exhibitor floor plan to its web site. In a statement, the organisers said the new event brings together top suppliers from more than 20 countries with 90% of its planned 90,000 square feet of exhibition space sold. To date, approximately 50% of exhibitors at DOMOTEX USA 2019 will showcase soft surface products, 40% will highlight hard surface products and 10% will feature flooring technology. 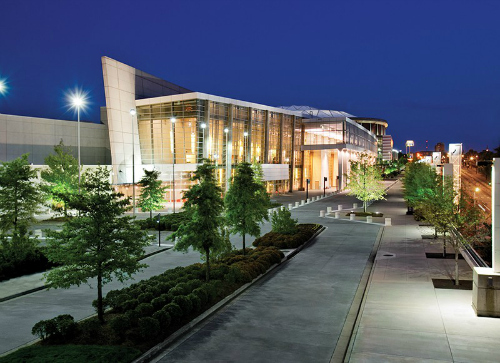 Owned and operated by Hannover Fairs USA (HFUSA), the show is scheduled to run from 28 February to 02 March 2019 at the Georgia World Congress Center in Atlanta, Georgia. The event's web site can be found at www.domotexusa.com. “When DOMOTEX decided to enter the U.S. market it was in the belief that the flooring industry and community should be celebrated in America as it is globally with a focused event. DOMOTEX USA, in Atlanta, is America’s home for flooring now and going forward because of the response of the industry. We are thankful for their confidence in us,” said Raymond L. Bianchi, HFUSA vice president of events and business development. Signed up exhibitors for the first DOMOTEX USA include Shaw, Engineered Floors, The Dixie Group, Milliken, Swiss Krono, Mullican, Stanton Carpet and Merinos to name a few. Other notable U.S. exhibitors that have also signed on include: Southwind Carpet and Hard Surfaces and Bostik Inc. Top European manufacturers include: Faus International Flooring, S.L.U., Ribadao Design, Fedustria vzw, Decospan, Alsapan, Brink and Campman B.V., and De Poortere Deco s.a.
“It has been our commitment from day one to build and deliver a world-class event that addresses the specific needs of the flooring industry. We have listened and will continue to listen to what the industry wants and needs to equip DOMOTEX USA attendees and exhibitors with the tools, connections and experiences that are essential to elevating their business,” said Donna Busse, DOMOTEX USA show director. More information on educational programs, networking events and other show features including local factory tours will be announced later this fall. DOMOTEX USA is a new annual flooring trade show and conference and is the latest extension of the 30-year-old DOMOTEX, the world’s foremost showcase for floor coverings held annually in Hannover, Germany each January. It will focus on the needs of the residential floor covering industry’s buyers and manufacturers. It will feature product displays across soft and hard surfaces including area rugs, carpet, hardwood, laminate, resilient, as well as flooring technology. It will also have a presence on Facebook (https://www.facebook.com/DomotexUSA/) as well as other social media platforms. The main DOMOTEX is scheduled to run from 11 to 14 January 2019. Surfaces, the other large floor covering trade event – now part of the International Surfaces Event (TISE) – will be held from 23 to 25 January 2019 at the Mandalay Bay Convention Center in Las Vegas.